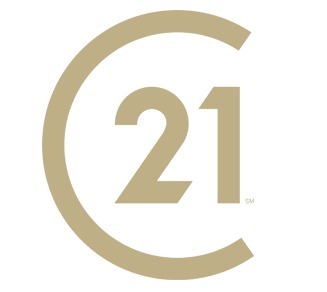 About CENTURY 21 Campbell Realty, Inc.
We are a locally owned and operated real estate company, priding ourselves in the quality and knowledgeable service that we provide to the public. Our mission is to guide our clients through the real estate process, with the service expected from a professional REALTOR®, through listening, responding and dedicating our efforts toward a smooth home purchase or sale transaction. As a respected member of the local real estate community, our office has received numerous service awards for achievement and client satisfaction; beginning with the CENTURION Office Award in 1976. Our team is committed to the Century 21 Vision of providing the finest service offered by any real estate organization. Our experience, knowledge, and strong ties with the local community, combined with the vast CENTURY 21 Network, allow us to provide you with best service available. Our commitment; "we will continue to make every effort to satisfy our clientele with the finest service possible". If you have a real estate need - go with the proven winner! Put our team to work for you today! With over 20 agents in the office working under an experienced licensed broker, all of our staff members are high caliber professionals with extensive experience and knowledge about our local real estate market. Our agents come from diverse backgrounds but all are dedicated to providing the highest quality service to our clients. Meet Our Agents! In addition to our agents and brokers, we also have three full time administrative staff members that work tirelessly to accommodate any and all of your needs. They help coordinate meetings, set schedules, and ensure the timely processing and delivery of all your documents.